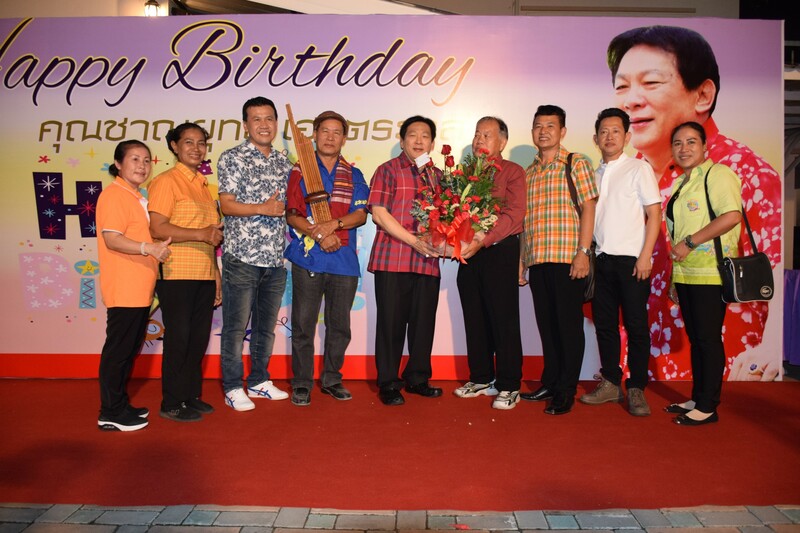 Politicians, police and bureaucrats wished the head of Sophon Cable TV a happy 64th birthday with a party at his Pattaya home. Politicians, police and bureaucrats wish Chanyut Hengtrakul a happy 64th birthday. Former Pheu Thai-government education and culture minister Worawat Ua-apinyakul was the VIP guest at the April 27 soiree at Chanyut Hengtrakul’s Soi Paniadchang estate. Worawut offered his congratulations to Chanyut, who once served as an advisor to the deputy minister in the former government, and wished him long life and success and encouraged him to be a role model for other politicians. Guests were entertained and enjoyed drinks and a buffet. Many left with gifts from the Hengtrakul family. Chanyut was born on April 21, 1952 and obtained degrees from Ramkhamhaeng and Burapha universities. Married to wife Wilawan, he is a father of four. His career has seen him serve on the Chonburi Council, as head of the Provincial Administrative Organization and as an MP for a year under former Prime Minister Thaksin Shinawatra.